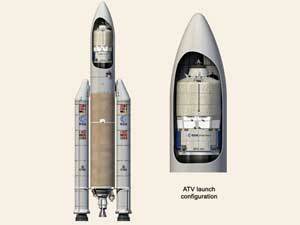 The Ariane 5 is the newest heavy launcher from the French company Arianespace. It is capable of launching a 6,800 kg payload into geostationary transfer orbit (GTO). 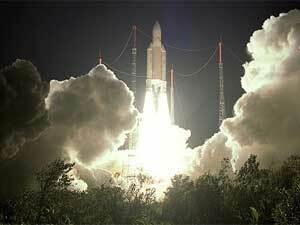 This is Arianespace flight 160. The European Ariane 5 is the launcher for the Automated Transfer Vehicle, which will be used for the transportation of mixed cargo items to and from the ISS.